Leisure Bike Tours with Wild Trails. Our Leisure Cycling Tours are especially designed for those who love cycling, but at the same time want to live an holiday in a pleasant and carefree way. Travelling without rush on comfortable bikes, you can visit best spots both on coastal and mountainous areas, crossing nice villages to get in contact with local people and their culture. We will have time to visit historical sites and monuments, to swim in the best beaches of our country, stopping for refreshments to taste the local food & wine, photos opportunities or just giving you the time to relax and enjoy your stay any time you need. 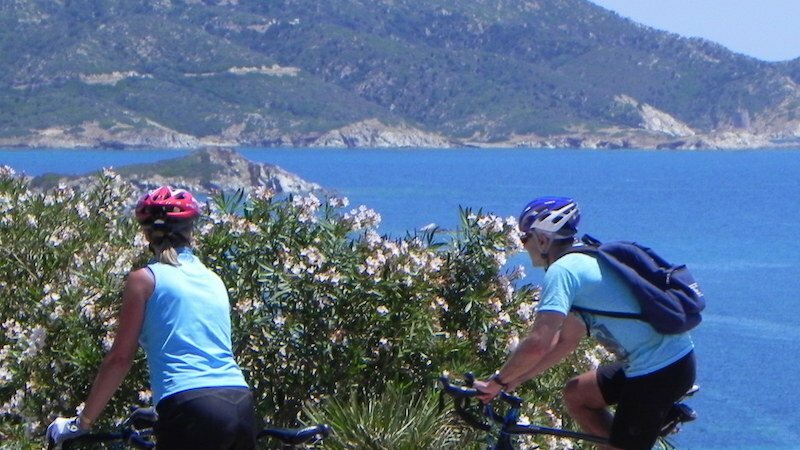 A Leisure Cycling Tour on the East Coast of Sardinia.